How To Request with HTTP using c#? Home Web Technologies How To Request HTTP headers with .Net using c#? In this article, we will see the basic understanding of the HTTP; how does work its headers? Also, the most important thing, we will see that how to request HTTP with C#. For web-crawler, web-scrapping developer the toughest part is to get the content from the web application. How to analyze the HTTP request? How to HTTP request with C#? What are headers and its type? Now, I am going to explain each and every topic in detail. HTTP stands for Hyper Text Transfer Protocol. This is the foundation of data communication for the world wide web. A protocol defines a set of rules that enable effective communications between computers. Also, it is part of a protocol framework called the “Internet Protocol Suite” which includes TCP/IP. HTTP defines how messages are transmitted between visitor’s browser and website’s server, where messages can be in the form of text, images, video, graphic, sound and other multimedia files. HTTP headers are basically used to request on the server as well as get the response from the server. This can be different types for a different request. Using headers with HTTP, we get data from the server in different forms like in the form of text, images, graphics, sound, video and other multimedia files. The biggest problem with web-crawler, web-scraper developer is that how to analyze the request URL and how to see the headers which are passing through the request URL. So don’t be bothered…here is the solution!!! Afterall, you will be able to understand that how to start to see the headers from Browser. For any request from you want to get the content you must be aware of the HTTP headers which are requesting with URL. So follow the step to see the headers. 1. First, open the Chrome browser. 2. Then, go to the extreme right side on URL bar and click on that. 3. Then, follow More tools -> Develop tools. 4. Click on Developer tools. Note: This is blank because we did not request any URL. 5. Paste URL into the URL bar you will see the result as an image below. 6. Now, click on the top of the row which is given in network section and see the result. I am sure, now you will be able to find the header from chrome browser. Now, the question arises how to get the HTML or JSON content from any URL? Well, it’s quite simple! 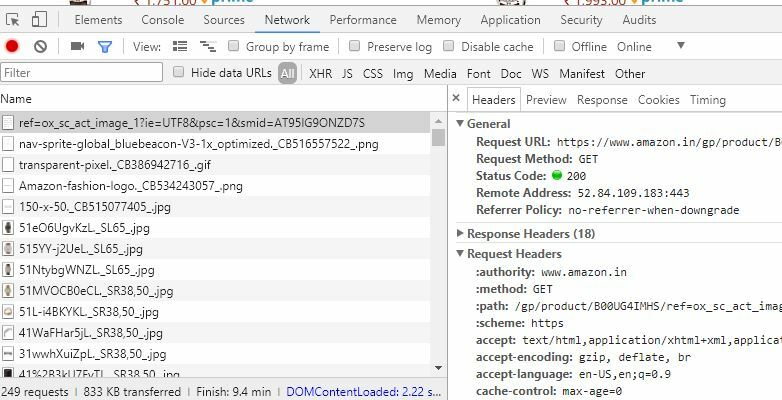 HTTP request on the server using GET or POST method. It can be one of them, GET or POST (Although it depends on the requesting method). 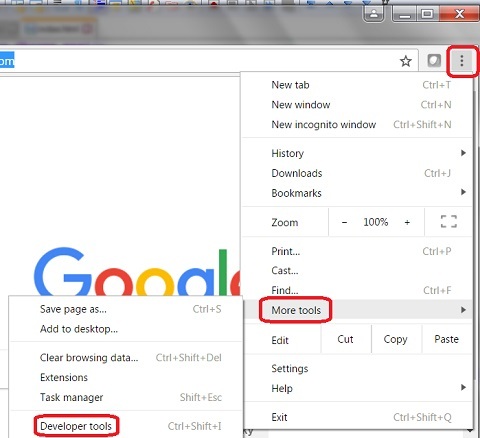 Hence, you can see at the time of analysis from the chrome browser in the developer tools section. I am going to show the code one by one. First of all, simply you can use a given method to get the content using the GET method. myWebRequest.Referer = “”; // (put the referrer between inverted quote). 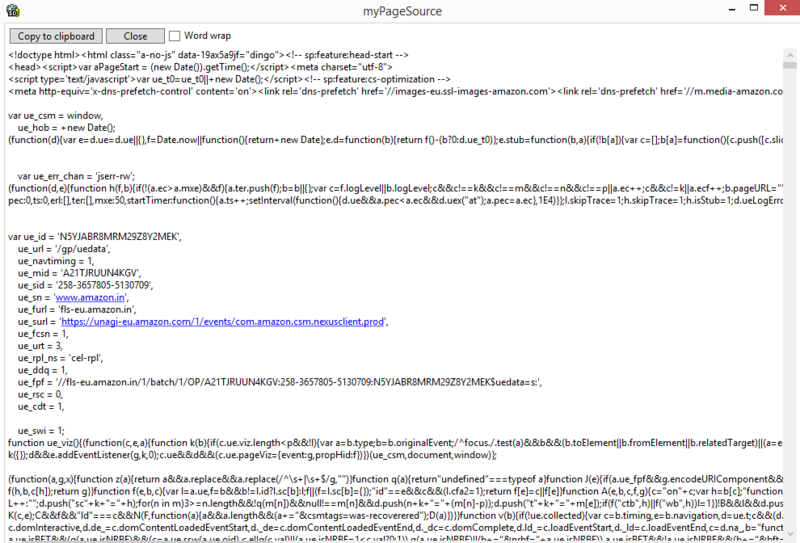 myWebRequest.Headers[“Cookie”] = “”; // (put the Cookie between inverted quote). Therefore, you can refer to details about the header here. In addition, sometimes need to get the content using POST method. To do this, you can use the following code. How to find the post string? 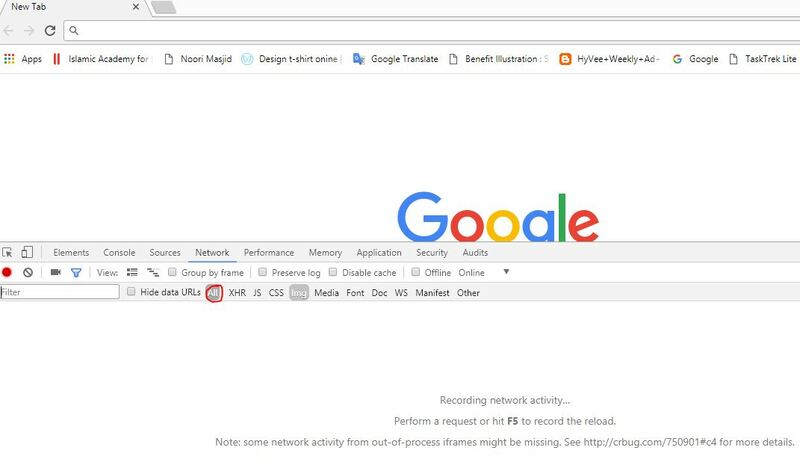 To do this, you have to analyze the requested URL from chrome or Firefox browser so that, you can see the post string from there. Simply copy and paste in the method and assign the value to the variable postString. Maybe also, the same thing you will have to do seems like GET method. Most probably you may need to add the referrer, cookie or other headers also. Sun, 06 Jan 2015 08:49:37 GMT ; RFC 822, updated by RFC 1123. Sunday, 06-Jan-94 08:49:37 GMT ; RFC 850, obsoleted by RFC 1036. Sun Jan 6 08:49:37 2015 ; ANSI C’s asctime() format. Upgrade: HTTP/2.0, SHTTP/1.3, IRC/6.9, RTA/x11. Warning: warn-code SP warn-agent SP warn-text SP warn-date. Client request header fields are used send the request to the server. This is only applicable for request messages. text/plain; q=0.5, text/html, text/x-dvi; q=0.8, text/x-c). Accept-Encoding: compress, gzip or Accept-Encoding: or Accept-Encoding: * or Accept-Encoding: compress;q=0.5, gzip;q=1.0 or Accept-Encoding: gzip;q=1.0, identity; q=0.5, *;q=0. Expect : 100-continue | expectation-extension. If-Match: “xyzzy” or If-Match: “xyzzy”, “r2d2xxxx”, “c3piozzzz” or If-Match: *. If-Modified-Since: Sat, 29 Oct 1994 19:43:31 GMT. If-None-Match: “xyzzy” or If-None-Match: “xyzzy”, “r2d2xxxx”, “c3piozzzz” or If-None-Match: *. If-Range : entity-tag | HTTP-date. If-Range: Sat, 29 Oct 1994 19:43:31 GMT. Referer : absoluteURI | relativeURI. TE: deflate or TE: or TE: trailers, deflate;q=0.5. User-Agent: Mozilla/4.0 (compatible; MSIE5.01; Windows NT). Also, when we request on the server with HTTP headers it returns respond. So Basically these headers are used to retrieve the messages from the server. ETag: “xyzzy” or ETag: W/”xyzzy” or ETag: “”. Retry-After : HTTP-date | delta-seconds. Retry-After: Fri, 31 Dec 1999 23:59:59 GMT. Expires: Thu, 31 Dec 2015 16:00:00 GMT. Last-Modified: Tue, 15 Nov 1994 12:45:26 GMT. Also, If you need the explanation of each and every header click here. I am sure, after going to this blog, you will be able to understand the headers and its definition. Not only headers and its definition, but also you will be able to get the content through C# code. Also, by now, you must be having a clear understanding of GET and POST method. Anythough for further queries, feel free to place your valuable comments in the comments section below! Previous articleHow does Exception Handling work in C#? Next articleHow to work with Bootstrap? How to work with Validation control Events in ASP.NET?